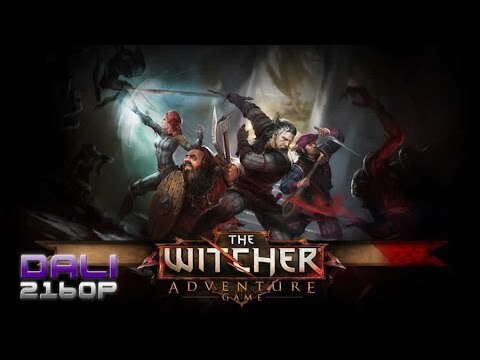 Well, guys today I have for you a great game called The Witcher Adventure Game published by CD Projekt RED S.A. And now let`s begin with the review and see what is this game about. Designed by veteran game designer Ignacy Trzewiczek (Imperial Settlers, Robinson Crusoe), The Witcher Adventure Game (hereafter referred to as just The Witcher) is game where players take on the role of one of the four heroes from The Witcher series. The main goal of the game is to acquire victory points by moving around the board, gathering clues, and completing quests. Players will have 6 different actions they can take on their turn (2 actions per turn): Move, Double Move, Develop, Investigate, Special Action (different for each character) and Rest. After taking their two actions, they have to deal with something bad in their region. This is usually in the form of Foul Fate cards or monsters. Fighting monsters is pretty fun, it involves rolling dice, using development cards, and trying to match up symbols to the monster. It’s a nice, streamlined system that I feel works well for the game. As the players complete quests, they’ll gain victory points and good fate cards. After a pre-determined number of quests have been completed, the game ends and the player with the most victory points wins. And now let`s begin the gameplay review. The section where every game can shine or fade. As I’ve come to expect from FFG, the app for The Witcher is slick and polished. The game board is gorgeous looking, set at a bit of an angle to give it a 3d effect. The developer also included a lot of nice touches like weather effects, so at times you will see rain in certain regions. At the bottom of the screen is a menu bar that houses the characters 6 actions, their current quest, their lead tokens, and any cards they might have. I don’t really have any complaints with how the interface is laid out as everything just works well and makes sense. When you want to move, you select the move action and tap on the highlighted location you want to move to. Easy enough. The combat screen is equally well done. It shows in an isometric view with the monster you are currently fighting on the table and the dice are thrown in a really neat 3d effect. Once they stop rolling, the app shows you your results and you tap on the ones you want to use. It is little strange for me to play a board game on a phone, but hey that`s me.